A 7-month-old girl died after being bitten by the family dog in Clearwater. 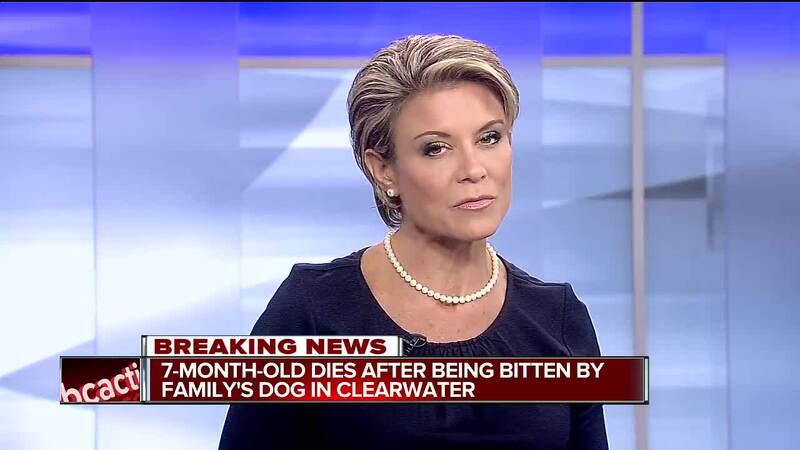 CLEARWATER, Fla. — According to Clearwater Police Department, the licensed foster parent for the 7-month-old girl killed by a dog was Clearwater Detective Jonathan Maser. Clearwater Fire & Rescue medics responded to 1125 Fairwood Ave at 2:12 p.m. Friday after a report of a child bitten by a dog. First responders rushed the child, Khloe Williams, to Mease Countryside Hospital, where she later died. As per standard protocol, the Clearwater Police Department is investigating in conjunction with the Department of Children and Families. Police initially said the dog was a family pet. “Khloe Ann Williams was a beautiful 7-month-old baby, who was viciously mauled by a dog, while under the apparent care of the State’s foster care system. There were multiple agencies that were tasked with the care of the child, including the Florida Department of Children and Families, Eckerd Connects, Directions of Living, and A Door of Hope. We are actively looking for answers to all the questions the family is left with at this time. To be clear, while there have been conflicting reports, neither the biological mother nor anyone in her family were caring for the child at the time of the child’s death. The parents and family of this child were failed by the child welfare system. Khloe’s tragic death could have and should have been avoided, and was the direct result of inexcusable neglect.”- Law Office of Jocic & Koulianos, P.A. Neighbors said the dog was extremely aggressive as animal control officers took it out of the home and to Pinellas County Animal Control. The Department of Children and Families is committed to ensuring the safety of all children, especially those in the care of foster parents. Any time a child dies in foster care, the department will conduct a thorough review to ensure the highest quality of care for children in the child welfare system. Understanding of the high levels of trust and responsibility placed upon them, we are forever grateful to the thousands of wonderful families across Florida who support vulnerable children and make the choice to bring a child into their homes and their hearts. DCF will support the Pinellas County Sheriff’s Office as they investigate this child’s death and the department has also initiated a multidisciplinary review team to review this child’s history with the child welfare system.